A young man who claims he was forced into dealing cannabis so he could pay off his own drug debt has been given a community order with a rehabilitation programme. Chesterfield magistrates’ court heard on February 5 how Kieran Kenworthy, 21, of Wayside, at Brimington, Chesterfield, was arrested after police linked him to a rucksack which was recovered with nine cannabis deals with a street value of £45. Ms Connally added that Kenworthy was present at the Donut car park in Chesterfield and a rucksack was recovered with nine individual deals of cannabis valued at £45 and it was later established the drugs belonged to Kenworthy. Police also checked Kenworthy’s mobile phone, according to Ms Connally, and there were texts and messages indicating drug deals to individuals. Ms Connally added that Kenworthy only appeared to be dealing among his peers and this was done without any significant financial gain. Kenworthy pleaded guilty to possessing the class B drug cannabis with intent to supply after the incident in June. 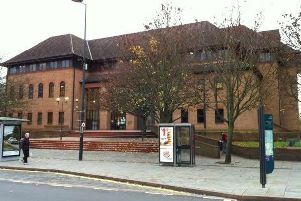 The court also heard that the defendant had committed the offence while he was subject to a community order for an assault. Defence solicitor Kevin Tomlinson said police had been responding to reports of graffiti and they initially approached another young man with a spray can and they carried out a search because they could smell cannabis. This young man had a rucksack and he told police that the nine, 0.5gramme drug deals inside the rucksack belonged to Kenworthy, according to Mr Tomlinson. Mr Tomlinson said Kenworthy had built up a debt with drug-dealers because he has been a cannabis-user for some time and he was told to pay up or deal on behalf of the dealers. A police drugs expert confirmed that this is a strategy, according to Mr Tomlinson, deployed by drug-dealers upon users who have built-up debts. Mr Tomlinson said Kenworthy has mental health problems and he has become estranged from his family and he is living in shared housing. Magistrates sentenced Kenworthy to a 12 month community order with a Drug Rehabilitation Requirement, a Rehabilitation Activity Requirement and a Thinking Skills Programme. Kenworthy was also fined £5 and ordered to pay £85 costs and an £85 victim surcharge.